SANDVIKEN, February 4. /TASS/. 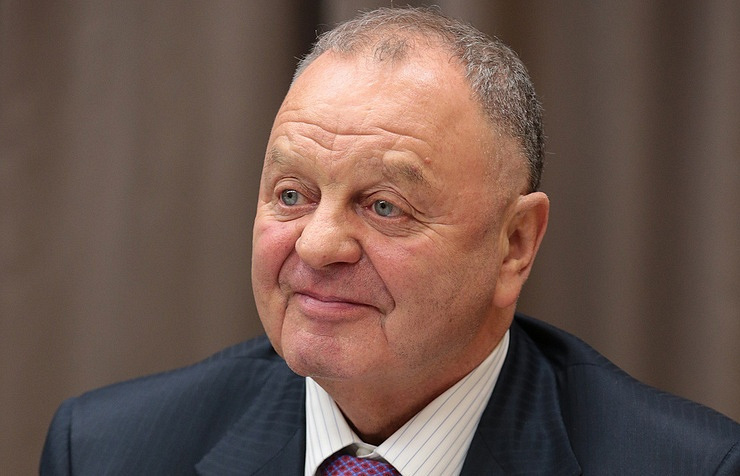 Bandy has chances to be included into the program of 2022 Winter Olympics in Beijing, President of the Federation of International Bandy (FIB) Boris Skrynnik told reporters on Saturday. "Chances are in place. Yes, there were talks about 2026. Informal negotiations were held and we received signals that the year of 2026 is the deadline [for inclusion of bandy into the Winter Olympics program - TASS]. Nevertheless, we make attempts for bandy to be included into 2022 Olympics program," Skrynnik said. "It is not a mere coincidence that representations of the China Olympic Committee were present at the world championship [underway in Sweden’s Sandviken - TASS]. We also met representatives of a producer company engaged in promotion of the Olympic Games in Beijing. Furthermore, a letter was received from the IOC that its representatives are examining to what degree our sport can be popular at the Olympics," the FIB President said. "I find it difficult to say what can prevent [bandy from inclusion into the 2022 Olympics program - TASS]; it is discussed now whether it takes place in 2022 or 2026. We have high hopes for the producer company involved in promotion of the Olympics in Beijing. We received assurances from them that they are highly interested in that," Skrynnik said. "We furnished nearly all governing documents required from us. The most important is to join WADA. We pay money for players to be examined by WADA representatives," he said. Female bandy has more chances to become part of the Olympics program than male bandy, Skrynnik said. "I am not ready to answer whether it is possible to include both male and female bandy into the program at a time. The most important for us is to gain a foothold but female [bandy] has more opportunities - it actually takes longer to set up a male bandy team," he added.